In a basic article, we covered basic planning and navigation for cross-country flight, and in a companion piece, some classic enroute adjustments were described. Now, you've done the work, passed the exam, and your new license says you're a Private Pilot. You can fly your passengers just about anywhere in the world if the weather is good enough. Let's review some of the basic planning tools, and expand the list to cover some practical needs that probably weren't included in basic pilot training. Chart Supplement. Until recently, this was called the Airport / Facility Directory. Here is where you find all the things you need to know about the airport, until the airplane is clear of the runway. http://vfrmap.com. This is a useful web site that uses the Google map API. You can examine VFR and IFR charts, road maps, satellite shots, and so on. Because of a patent troll's greed, you can't plot courses on it, but there are other applications for that. Each airport includes a little square "hot spot." Move the cursor onto it, so the hand turns to a pointer . Then click to display a copy of the AFD information for that airport, as in the figure above. SkyVector. This useful online resource was covered in the basic planning article. If you right-click on an airport symbol, the pop-up frame includes a link with the airport name. Click on this, and you will load a page with basic airport information, plus some information about FBOs and their fuel prices. SkyVector works like paid services such as ForeFlight, WingX, and Garmin Pilot, but it's free. It will serve as an example for all of these tools. FltPlan. This was one of the first flight planning web sites, and is probably one of the most complete. 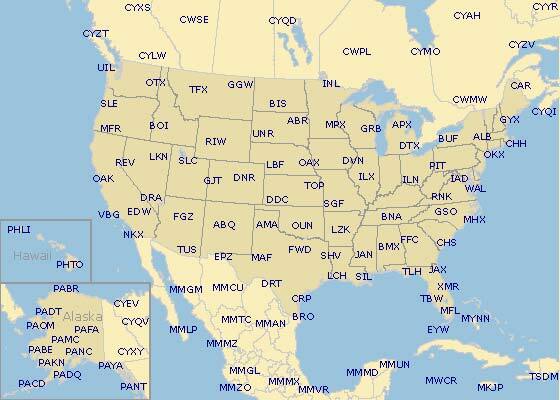 It has data pages for U.S. and many foreign airports, including FBO information, charts, and more. The company has an online store that sells charts, which are becoming increasingly hard to find in the U.S.
AirNav. This site began as a Master's thesis project around the turn of the century. It mines the US government database for airport information and displays it in a format that is easy to read. Information is available for airports, navigational aids, airspace waypoints, and fuel prices. Each airport page includes appropriate insets from road map and sectional chart, and usually an aerial photograph. There are links to print instrument procedures and airport diagrams. If an airport business has paid to support the AirNav site, its directory information is also there, along with web site links and reviews that users have contributed. AirNav includes a useful fuel planner service, which lets you plan for the cheapest fuel stops on longer trips. AOPA's Airport Directory. This was published in book form for many years; now it's online for members. Data are collected by surveying airport managers. If there is no response, AOPA uses defaults, which may not always be correct. Be careful about using this source for information about pattern altitudes or right/left traffic. It includes the same kind of FBO data and fuel prices as AirNav, plus information about rental cars and nearby businesses. It does not include hotels. There is a handy, printable kneeboard format that folds to 5½ ×8½ inches so it will fit you-know-where. AcuKwik. Similar information as AirNav, but for airports worldwide – not just the U.S. There is a paid subscription that "unlocks" a lot of information that doesn't show on the basic site, but the freely available information is fairly complete. Google Maps and Bing. These applications are useful enough to warrant a separate section. Visitors' Bureaus. Almost every crossroad in the country seems to have a visitor's bureau. Type "Podunk NY visitors" into your favorite search engine. There's more to planning than the basic standard weather briefing, although this is still an important step in getting ready for your trip. Here are some useful sources. Flight Service, the Leidos FSS. This is The Source. If you don't have an account with the primary provider of FAA-sanctioned weather information, you need to get one. Do it now. Enter information for the plane(s) you fly most often; also for the EasyActivate and EasyClose features. You may also register for text-message notifications, a convenient way to get last-minute NOTAMs. With the airplane information you supply, this site will automatically generate the correct format for ICAO flight plans, which will soon be the only type we can use anywhere – even in the U.S. If you do your flight planning on one of the commercial sites like FltPlan, you can link your account there with your LM-FSS account. This allows cross-platform access to stored data such as flight plans and aircraft profiles. Aviation Weather Center (ADDS) is NOAA's portal, which they officially consider experimental. It has many tools and graphics that aren't available from the two sources already mentioned, such as the Java-based Flight Path Tool, some Decision Support tools, and other worthy experiments. An older version of the ADDS tools is still available, but it's deprecated and it's unknown how long support will continue. However, because of the more primitive and limited features, it loads much faster on slow connections than the main AWC web site. Air Sports Net. This is like an augmented TAF site. It works with data like this to produce a beautiful, easily readable graphic display of the forecast for the next three days. The raw data are the same as used for TAFs, but the forecast is generated by a computer model instead of a live specialist. Unlike TAFs, these are available for any U.S. airport that has METARs. So they can be used for a more localized outlook, or for a look more than 24 hours into the future. RADAR. This commercial site is a gateway to several interactive graphics. Click on a region to inspect it closer, or select a time-loop to see where the rain has been for the past few hours. Also, NOAA offers several pages of imagery from geostationary satellites. These favor wavelengths that indicate moisture in the atmosphere. Skew-T Log(P) plots are discussed later in this article. These are useful if you'd like to fly above the tops of clouds in the smooth air. Other commercial and government sites offer a wealth of information. Poke around in them and see if there's something special there for you. The Weather Network. This is like the Weather Channel, but has better coverage for Canada. There are selectors at the top of the page for U.S. or metric units. Tide tables. You never know, you might decide to land on a beach. There are a handful of airports where the runway can't be used at high tide. In the Internet Age, it seems like a throwback, but the telephone can be your best friend. When you've selected an FBO for a destination, call them for more information. They can help you with services like rental cars and hotels (at a discount), and they often have some perks that don't show up on web sites, like courtesy cars. Many times, these services don't show up on web sites or other advertising. Sometimes, you'll find out that a published taboo can be overlooked – or that there are some unpublished conventions that you need to observe. Make the call. It's worth your time. Besides its availability behind VFRMAP, Google Maps is useful in its own environment. (Bing is similar.) You can enter FAA or ICAO airport identifiers into the search box. 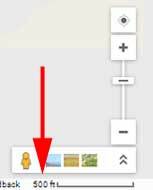 On the Roadmap view, zoom in to the "500 foot" scale and have a look around. As you can see in this example, there's a suitable hotel less than a mile from the transient tiedown area. Hover on the icon and some information will pop up. Click it and more information will show, usually including a phone number or web site. You'll learn that they provide free pickup and drop-off, so you don't even have to walk the short distance. Once you're checked in, you have only a short walk to several eateries and shopping centers. If you ever need a convenient airport for an overnight stop without wasting much time, this one is certainly suitable. At uncontrolled airports, there is usually only one FBO, and its UNICOM frequency is the same as the CTAF. At larger airports, and at all airports with a control tower, this isn't so. 122.95 is a common UNICOM frequency at controlled airports, but many FBOs have a separate frequency. This will be listed in the resources given in the first section here, or you could just call and ask. As a last resort, the ground controller will usually know these frequencies. Switch to the UNICOM frequency when you're clear of runways and taxiways, in the ramp area. Often, you'll find a helpful person there who will direct you where to park. Show the lineman your keys when you shut down, so he knows the magnetos are off. He will probably be putting chocks on at least one of your wheels, and it reassures him to know that the prop isn't likely to start turning while he's near it. Unless you're from New Jersey or Oregon, you're probably used to pumping your own gas into the car. You can service your own airplane, too, even in those two states. Your instructor should have shown you the drill, but many leave it out of the syllabus because it's not on the flight test. Here's how to do it. When you stop the airplane, be sure it won't move. Chock it, or set the parking brake. Attach the ground wire to the airframe. Use an unpainted piece, such as a worn tiedown ring, towing lug, or even the exhaust pipe. The airframe can pick up a significant static charge at altitude, and it's insulated from the ground by its rubber tires. The last thing you want is a spark when you put the fuel nozzle into your gas tank. Swipe your credit card, same as with the car. You will be asked to limit your purchase, either by dollars or gallons, or by "top off." Do not answer Top Off ! ! This will set a limit on how much fuel is pumped, but it will also block your credit card for that amount. The pump software doesn't know if you're in a C-150 or a B-29. You might just find that your credit card has been maxed out at the beginning of a trip, which could put a strong crimp in your travel plans. Enter a realistic limit, certainly no more than your airplane can hold. The machine will then ask if you want a receipt, and churn for a while as it authorizes the transaction. When the authorization is complete, turn the pump on. The appearance of the switch varies a lot from one installation to the next. Pump your gas, and turn the switch off when you're done. Put the hose over your shoulder as you walk it out to the fuel tanks, and while you fill them. Rewind the hose. This might use an electric motor, or maybe you'll have to crank it in by hand. Detach the ground wire and rewind that, too. Don't let the ground wire slip through your hand. It might have some vicious "fish hooks" waiting to slice into you. Take your receipt and move the airplane away from the pump so the next pilot can get some fuel. Now it's time to move back into the non-flying world. If it's just a lunch run, your job is to get to the restaurant. If that's in the terminal, you're all set. If it's somewhere else, the logistics aren't too different from any other business you might have on the ground. If you're expecting a rental car, you might have arranged it with that pre-flight call to the FBO. If so, the desk rep will hand you the keys, you'll sign the papers, and off you go. If you have to deal with an agent, it's not much more complicated. Next stop is your hotel or the restaurant, depending on your mission. Maybe you'll do a bit of touring first. For short stops, many FBOs can supply a courtesy car, also called a crew car. This could be anything from Tom Joad's jalopy to a brand-new luxury sedan. Often it's a retired Crown Vic that the local sheriff no longer needs. These free loaners usually come with a time limit, and there's always room for you to add some gasoline before you return the car. It's a relatively new (2014) application, but you can find a growing directory of courtesy cars at this site. If you're just pausing for a rest, you might not even leave the FBO. Many have pilot lounges and snooze rooms. Sleeping facilities run the gamut. You could end up in a reclining chair, a secluded cot, or even a complete bunkhouse. Again, that pre-flight phone call helped you get set up. Some airports will let you set up camp next to your tiedown or nearby. Some will let you crash on the FBO couch. Others are adjacent or very close to a traditional roadside campground. You'll have to do a bit of research to see if any of these options are available to you. Crawling Google maps as described earlier might be productive. AOPA's airport directory includes notations if the airport allows camping on field, but this information may be dated – it's a good idea to call for confirmation. There is also some information at the Back Country Pilot and Shortfield web sites. As the names imply, these sites tend to be oriented more toward the more isolated strips, especially those in the Rocky Mountains. A related topic is survival, which is beyond the scope of this article. Doug Ritter's survival site is a good place to start. Back before the Dawn of Time, pilots got from Point A to Point B without GPS. They used gadgets like VOR, ADF, or even just a pencil line on the chart. These pilots taxied to the runway, completed a few checklist items, and launched toward the first waypoint. After that, they found their waypoints one by one, until it was time to find an airport and land. With modern equipment, we have the facility to enter en entire flight plan before taking the runway. This could mean keying in ten, twenty or even more waypoints, so that navigation is all set from takeoff to touchdown. For many pilots, this can take several minutes, and while we're doing this, out passengers are sweating in our little cockpits, wondering if they'll ever get to that cooler air at seven thousand feet. This is a terrible way to convince your family of the benefits of General Aviation. If it's an IFR trip, the same pilots complain bitterly about re-routes, because they then have to undo all that careful programming and start over. If this might happen to you, it's a waste of time to program the whole route. Just program in your first one or two waypoints, and let it go at that. Like the dinosaur who groped along one VOR at a time, you'll have plenty of time before running off the end of your GPS flight plan. And you'll be looking for something to do after you level off in cruise. Why not use that time to complete the flight plan? You get underway quicker, and your passengers will be impressed with your piloting proficiency/efficiency. Every pilot learns how to visualize the traffic pattern on the heading indicator. The same technique can be used to find the 45° entry to downwind at an airport, long before that airport is in sight. This trick has always been available at airports with on-field VORs, but those are in the minority. Now that GPS is commonplace, the trick should be more widely known. Suppose you're approaching an airport with a Runway 9, but you don't see the runway yet. You'd like to enter "on the 45" because it's convenient from where your approach begins. This means that you should aim at the center of the airport on a course of 225°. Easy. Just set your GPS to OBS mode and select a course of 225. That would be great, except for the math involved. You need to add (or subtract, for right traffic) 135° to the runway heading, modulo 360° – while navigating and keeping the airplane upright. But take a look at the OBS for this setup. The runway number is in the "bottom left" corner for left traffic. If it's right traffic, just dial the runway number to the "bottom right" corner and you're all set. In the example illustrated here, if you fly heading 270 you'll eventually join that 45° line. It doesn't get much easier than that, and all you need to do is use your GPS's OBS mode. The Chart Supplement includes useful information that is not always taught to the private pilot. At the very end of the airport information we find radio aids to navigation. This is where we have learned to find VORs that will help us find the airport, once we're close. This section also lists instrument landing aids that are specific to one airport. An ILS localizer is like a VOR with only one radial. For this airport, the signal guides the pilot along the centerline of Runway 7. Another way to look at this, is that the signal could be used to find the entire airport, if you're approaching from the South, Southwest, or West. Just dial it in, fly until the needle centers somewhere on the extended runway centerline, and track a course of 070° until you see the airport. You don't have to land on that runway, just find the airport and enter a landing pattern. SUFFOLK CO (T) TACAN Chan 47 FOK (111.0) N40°50.27' W72°37.91' at fld. 50/13W. NOTAM FILE FOK. Note the equivalent frequency, FOK (111.0). Tune your DME to 111.0, and you know how far you are from the station. Since this one is "at fld," that's your distance from the airport. Neither of these facilities are shown on the sectional chart. You must find them in the Chart Supplement. They also show up on AirNav and other online sources, but you have to look a bit harder to find them there. Use the Chart Supplement. … you get the idea. With a healthy attitude about mitigation, many pilots feel that over-the-top operations are worth the risk. But it's nice to know where the tops are. In a standard weather briefing, the tops forecast is given only in the Area Forecast (FA). This is useful, but the forecast areas are large, and the FA is scheduled for elimination. We can get finer granularity from the skew-T Log(P) charts, a NOAA product that looks much more difficult than it really is. … hence the name Skew-T Log(P). The colored lines are forecasts for temperature (red line) and dewpoint (blue line). Where they meet, you can expect clouds. Where they're at least 5°F apart, you should be in the clear. If you were flying under IFR, you'd compare the temperature line to the slanted 0°C freezing level to get an idea about icing. If you'd like to dig deeper into this topic, here's a longer article about the Skew-T. Flying in Canada is not very different from flying in the United States, but the rules and customs aren't completely identical. Some of the differences are explained in this article, which even includes a few tourist links. You've probably read several flight training texts by now. Here are some stories about pilots' adventures that tested their training and luck. The first two are about the exploits of freshly minted pilots who do their cross-country trekking all the way across the country. Mariana Gosnell, Zero 3 Bravo. Journalist flies her Luscombe from New York to California and back, landing only on turf runways. Rinker Buck, Flight of Passage. Two teenaged boys restore a Piper Cub and fly it from coast to coast, planning their route one day at a time. George Erickson, True North. Dentist turned bush pilot takes a break from civilization, flying a float plane from Minnesota to Alaska. With no wheels, he can only land on water. Barbara Cushman Rowell, Flying South. The author and her husband fly from California to the tip of South America and back, with many outdoor adventures – mountain climbing, white-water rafting, etc. – along the way. Stephen Coonts, The Cannibal Queen. The author visits each of the Lower 48 States in an open-cockpit biplane.